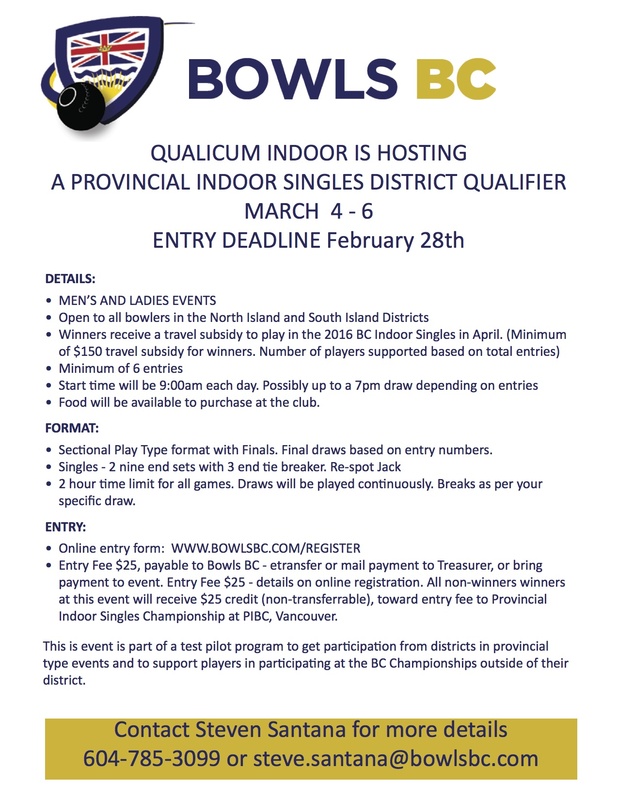 A trial Tournament is going to be held at the Qualicum Beach Indoor facility March 4 – 6th, to prepare for the up coming Provincial Indoor Championships. This tournament is open to the Island Districts. Please head to www.bowlsbc.com/register to enter the tournament. Entry deadline is Feb 28, 2016.